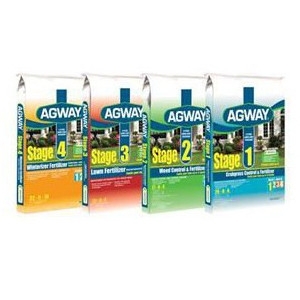 Agway 4-Stage Lawn Program makes it easier to have a lush, green lawn. Our 4 simple applications eliminate the guesswork and give you professional lawn care results. Each stage combines just the right amount of fertilizer with the right amount of control and prevention. Just match each stage to the correct season and you’ll prevent crabgrass, control weeds and prepare your lawn for winter. It’s what your lawn needs for strong growth.